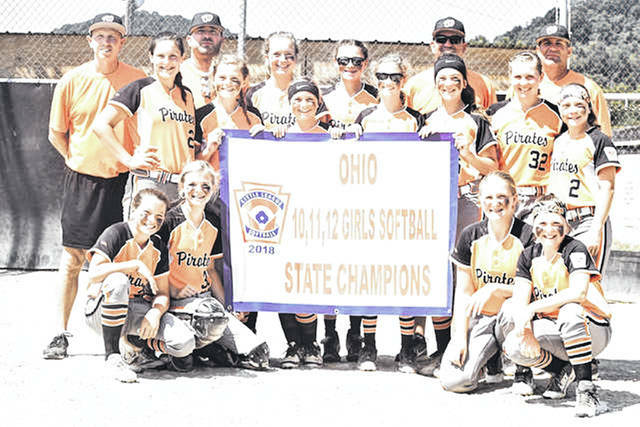 Prior to the first game of pool play in this year’s Central Region tournament, the Wheelersburg Softball 11/12s team arrived a day early to watch some of their competition square off. Upon arrival, the team was greeted with a myriad of activities intended to familiarize them with their opponents. Activities included an opening picnic, pictures, and a spirit contest for the girls to compete in. Head Coach Dusty Salyers said that prior to their first game, his team was enjoying their time off before they were to take the diamond. “I think that right now our team is feeling pretty relaxed” Salyers said, “Schedule wise we couldn’t have asked for a better situation”. Noblesville, Ind-Wheelersburg was placed into a group with Floyds Knobs (Ind. ), their opening game opponent in this year’s regional tournament, and also the team from Kentucky, Ashland American. Floyds Knobs (Ind.) were the Central Region tournament winners last season, meaning Salyers knew his team would need to show up on Tuesday in order to secure a victory. “They’re a pretty fundamental team” Salyers said, “You can tell they’re very well coached”. On Tuesday, Wheelersburg defeated Floyds Knobs 6-0, putting their record for the Central Region at 1-0. They join teams from Iowa and Missouri as the only undefeated teams in the Central Region. They are currently the leaders of Pool A and will go on to face Ashland American on Wednesday. Ashland American lost their opening game of pool play to Floyds Knobs 9-2. Wheelersburg’s opening game was headlined by AndiJo Howard’s dominant pitching performance in which she allowed zero hits and struck out twelve batters. Her power on the mound was no match for the team from Indiana, as the closest they came to a hit was a ball hit down the left field line that ultimately landed foul. Howard, who struck out nine batters in the first three innings, was completely unhittable. 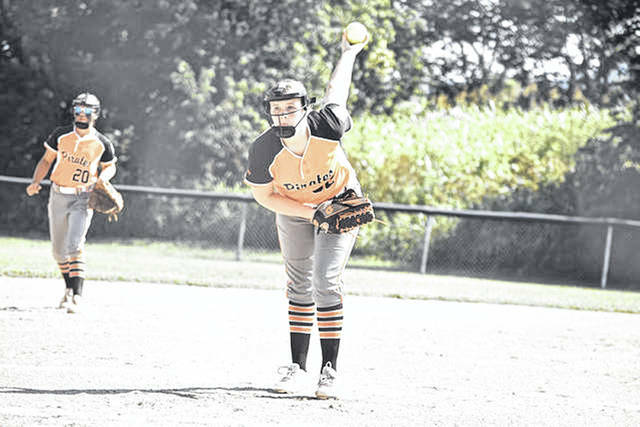 The bats came alive for Wheelersburg after an inside the park home run by Ashley Spence in the bottom of the fourth inning, an at bat in which she was pinch hitting, nonetheless. This sparked a four run bottom of the fifth inning, extending and finalizing the Wheelersburg victory at 6-0. They finished the game with eleven total hits. Wheelersburg will face off against the team from Ashland on Wednesday at 2 p.m. “They have a couple of girls on their team that are actually on some of our girl’s travel team” said Salyers of Ashland American, “So some of our girls are familiar with them, but today was the first time I had seen them play”. After all the pool games have been played, the nine teams in the central region will be seeded into eight seeds based on their wins and losses from pool play, and if necessary their runs allowed will also be considered during the seeding process. This means that the team that finishes in ninth place out of the nine teams will be eliminated from the tournament all together. Anyone interested in watching the Wheelersburg Softball 11/12s team tomorrow in their game against Ashland, or in any of their subsequent games later in the tournament, go to espn.com/watch/espnplus. You will be able to watch the games if you sign up and purchase a month subscription of $5 per month.